In line with its mission, Magarpatta City is an effort to ensure a convenient, enjoyable and stress-free life for a family. To achieve this a mere neighborhood won't suffice. A larger canvass is needed. That is why, all the amenities and elements of modern day lifestyle that are vital for the networked society have been provided. At Magarpatta City your children won't have to travel far to school or college because the city offers educational facilities from pre-primary to graduation within walking distance. Normally recreational spots are located far away in a city. But at Magarpatta City they are available right around your home. Sports Complexes, Amphitheatres, Cultural Centers, Aqua Sports Centers, Shopping and Entertainment centers, Golf Clubs, Gardens, Children's Play Areas, Community Centers and more offer you maximum delight. Family healthcare needs are met by a 200-bed multi-specialty hospital in Magarpatta City. This ultra modern hospital will provide the best healthcare by eminent medical professionals. 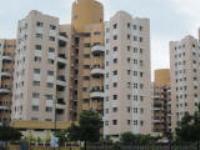 Apart from dream homes, it is these unique value offerings that make Magarpatta City really exclusive. And also the ideal city for a lovely home and a lively lifestyle, right in the center of Pune. In the lush green Oxygen Zone, that is just 8 kms off the Mumbai-Pune expressway. Various gardens with areas ranging from 0.25 acres to 25 acres. Hi-Tech commercial area for information technology enabled services. 200 Bed, well equipped hospital for medical aid round the clock. Extensive network. Round-the-clock Centralised Security System. Corporate Club with conferencing facilities. Eco-friendly sustainable garbage disposal system. 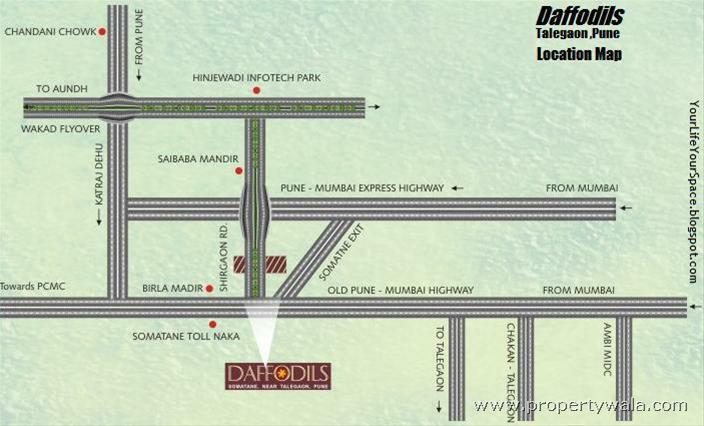 Daffodils Pune is rated 6 out of 10 based on 1 user reviews. Have a good knowledge of Daffodils? Share it and become a Project expert.